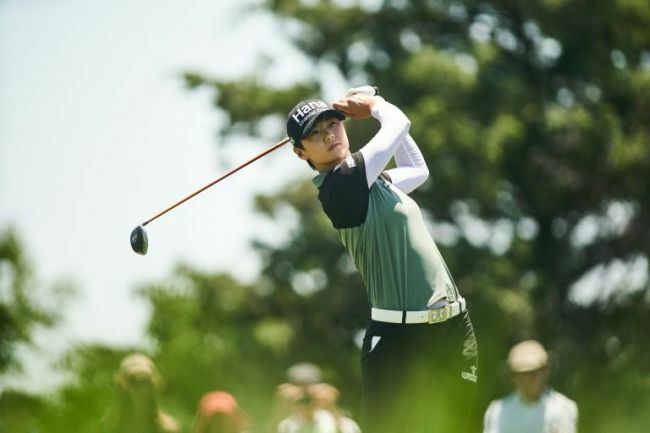 South Korean golfer Park Sung-hyun climbed a spot in the world rankings Tuesday following her latest LPGA victory. Park traded places with countrywoman Ryu So-yeon to reach No. 4 in the latest rankings. Park won for the first time this season at the Volunteers of America LPGA Texas Classic in Texas last Sunday. Park shot an 11-under 131 at the weather-shortened, 36-hole tournament. Prior to the win, Park had been in the top 10 just once in seven tournaments while missing two cuts, after playing on the weekend at each of her 23 tournaments in her historic 2017 season. On the strength of two titles, Park was the runaway Rookie of the Year recipient in 2017 and shared the Player of the Year honors with Ryu. Park also led the LPGA Tour in money as the only player with more than US$2 million in earnings. Park rose to No. 1 in the rankings last Nov. 6 but stayed there only for one week.